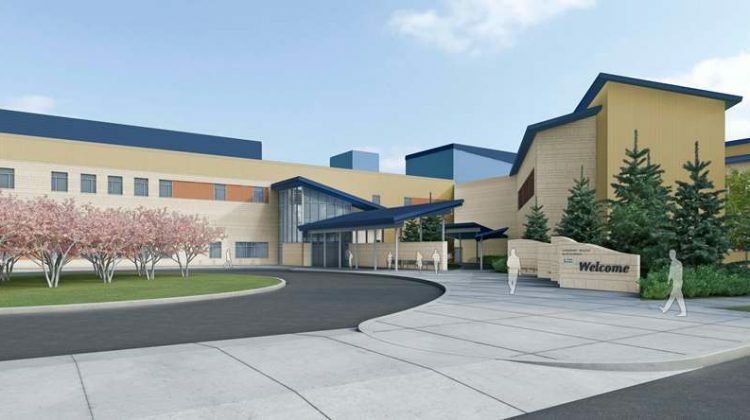 The Saskatchewan Hospital in North Battleford has surpassed it’s $8 million funding goal. The hospital’s New Beginnings Campaign is responsible for raising funds to buy all the medical equipment and furnishings that will go into the new facility. The new hospital replaces the original Saskatchewan Hospital that had been in use for over a century. The hospital had its fundraising finale event on February 7th where a major donation was announced. In a press release, the Saskatchewan Health Authority announced Gordon and Jill Rawlinson has donated $1 million dollars towards the campaign. Fundraising lead for the New Beginnings campaign Corinne Bernier Delainey says the Rawlinson’s donation combined other recent donations such as $50,000 from the Rural Municipality of Turtle River has pushed the campaign over its goal. The main lobby and central hub of the new hospital will be known as the Gordon and Jill Rawlinson New Beginnings Centre in recognition of their donation. Their donation to the campaign was made by a long-time friend and colleague David Dekker of North Battleford. The fundraiser has been going on for the past 2.5 years. Patients and staff moved into the new building in early November 2018.